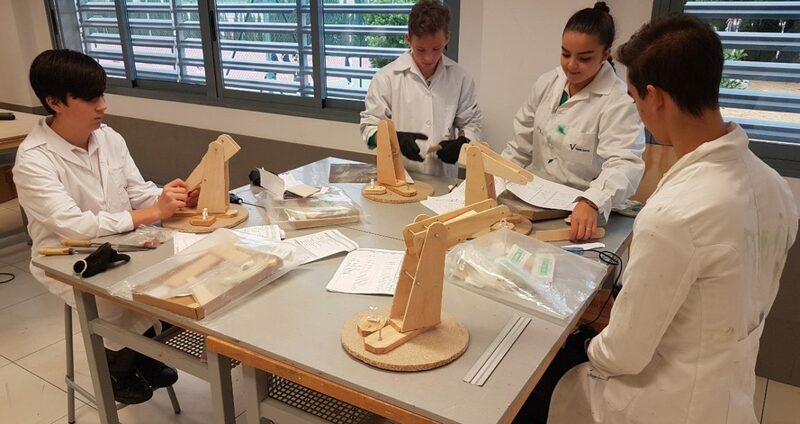 The students of Technology in 3rd year of ESO from Colegio Valdeserra are creating a model consisting on a hydraulic mechanical arm. 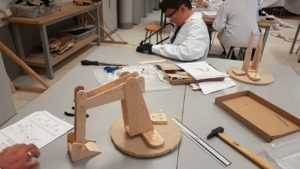 They have to manufacture from scratch the different parts that compose the mechanical arm as well as its assembly and start-up, as you can see in the images. Students learn to use the right tools for each task as well as the safety measures they have to follow.